Somebody referred to the sound of silence as a cosmic hum, a scintillating almost electric background sound. Even though it’s going on all the time we don’t generally notice it but when your mind is open and relaxed you begin to hear it. I found this a very useful reference because in order to hear it, to notice it, you have to be in a relaxed state of awareness. When I describe this people try to find it. They go on a ten-day retreat trying to find the sound of silence and then they say, ‘I can’t hear it, what’s wrong with me?’ They are trying to find this thing. But it’s not a thing you have to find—rather you just open to it: it’s the ability to listen with your mind in a receptive state, which makes it possible to hear the sound of silence. You’re not trying to solve any problems but just listening. You’re putting your mind into a state of receptive awareness. Awareness that is willing to receive whatever is and one of the things you begin to recognize in that is the sound of silence. 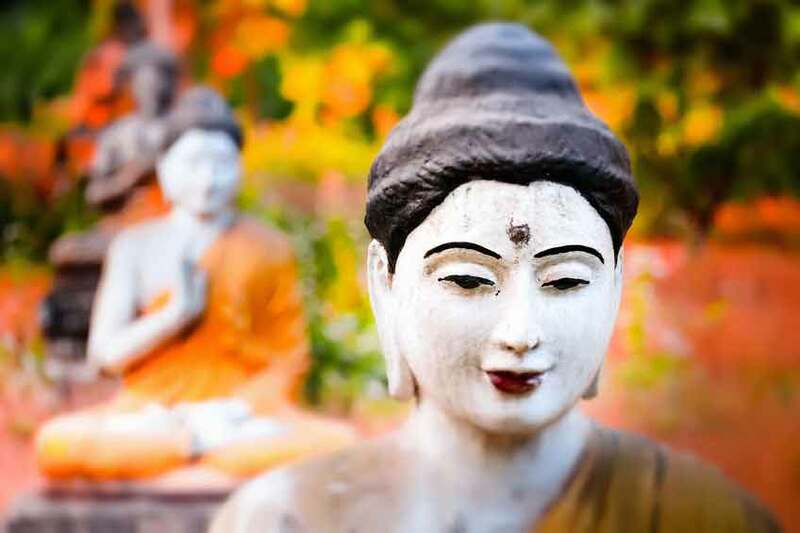 WHEN I WAS in my mid-twenties, I went on a ten-day silent retreat at Amaravati Buddhist Monastery in the Chiltern Hills in south-east England, led by the then abbot, Ajahn Sumedho. At the time, I had no idea how privileged I was; I had no particular affinity with Buddhism and had never even heard of the venerable monk. During my visit, the monastery was undergoing extensive renovations to various buildings on the property, rendering it a virtual building site. It was also the month of January and thus bitterly cold, gloomy and wet. I must confess that, despite moments of illumination and stillness, I found the experience to be depressing and utterly hard work. So it’s like radar. The mind is in a very wide, expansive state of awareness: inclusive, open and receptive rather than closed and controlled. So notice and contemplate this experience and then just concentrate your attention on the sound of silence. If you think about it, think of it like a blessing, grace or a lovely feeling of being open, rather than as a buzz in the ear, in which case you think that it’s tinnitus or some other disease. If you start contemplating it as the sound of angels, as a cosmic or primordial sound, blessing every moment as you open to it, then you will feel blessed. Reflecting in this way, in a positive way, helps us to take an interest in it and get a good feeling from it. Listening to the sound of silence, you can begin to contemplate non-thinking because when you are just listening to the cosmic sound there is no thought. It’s like this—emptiness, not-self. When you’re just with the cosmic sound alone, there is pure attention, no sense of a person or personality, of me and mine. This points to anattā. 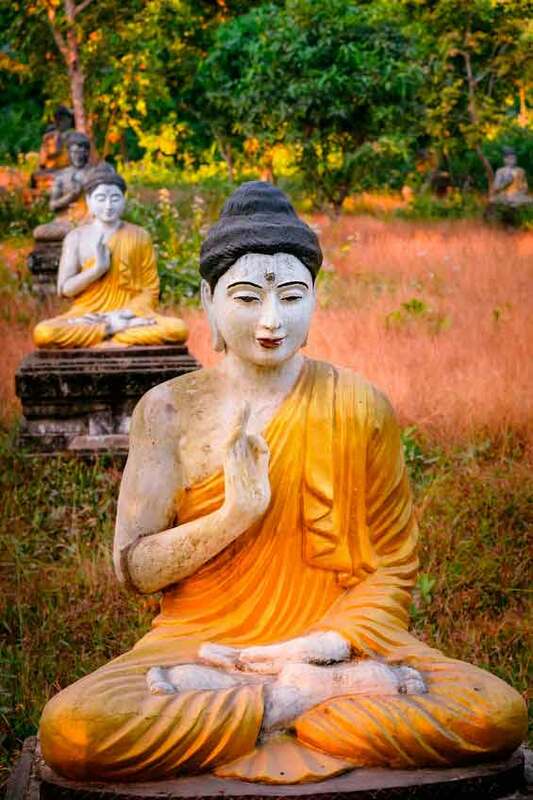 For various reasons, I had to leave a day before everyone else at the end of the retreat and was granted a private audience with Ajahn Sumedho to say my goodbyes and raise any issues or breakthroughs I may have had during my stay. After offering flowers and performing respectful obeisance, I told him that I felt conflicted about which spiritual path I should take. Up until this point, I had been involved with an organization that taught Advaita Vedanta in London called The School of Economic Science (SES); a spiritual salon, if you will, providing an esoteric blend of the teachings of Adi Shankara, Macilio Ficino and Shakespeare, where ladies where kindly asked to wear long skirts and their hair up and that marriage to a man was the only way to realize the Self. In the silence you can also be aware of any emotions that arise. It’s not an annihilating emptiness, it’s not a sterile nothingness, it’s full and embracing. You can be aware of the movements of emotions, doubts, memories or feelings as they start to become conscious. Silence embraces them; it neither judges, resists, nor gets fascinated with them. It just recognizes and realizes the way it is. We tend to use the word ‘sound’ in terms of how the mind has been perceptually conditioned. We connect sound with the ears. That’s why the sound of silence is heard as if it were a buzzing in the ears because the impression of sound is always connected with the ears. But you can plug your ears up and you can still hear it. When you’re swimming underwater you can still hear it. So what is it? Then you start to realize that it’s everywhere and not just in the ears. That perception of the sound of silence as something heard in the ears is the same misperception as thinking that the mind is in the brain. You’re changing from that very conditioned way of experiencing life, which arises through this sense of self and the culturally conditioned attitudes we hold, to a much wider understanding of the way it is. I’m not entirely sure what he made of my dilemma but I do remember sitting in silence for what felt like an eternity as he reflected on my predicament. I wish I could recall the exact words he finally spoke to me in the intimacy of his meditation room but essentially the gist was that if I were to follow the path upon which I felt the most comfortable with a steadfastness of mind and openness of heart, then all would be well. 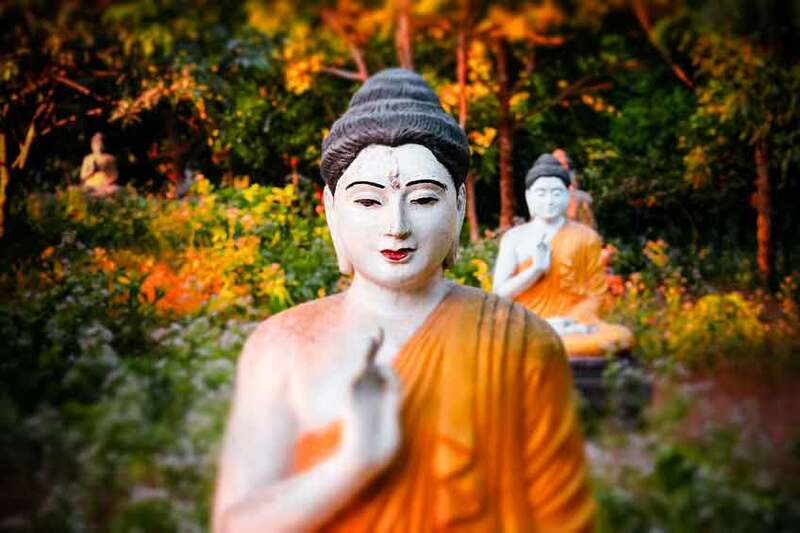 And, indeed, all was exceedingly well, for somewhat ironically, albeit over twenty years later, I recently found myself once again in a Buddhist monastery, this time Cittaviveka, in Chithurst, West Sussex, established in 1979 by Ajahn Chah and Ajahn Sumedho. The beauty, peace and exquisiteness that I had sought so desperately on my spiritual journey through the lecture rooms of SES, satsang meetings in America and Europe and even the Ramanasramam in India I was now imbibing in the Dhamma Hall, located practically on my very own doorstep. 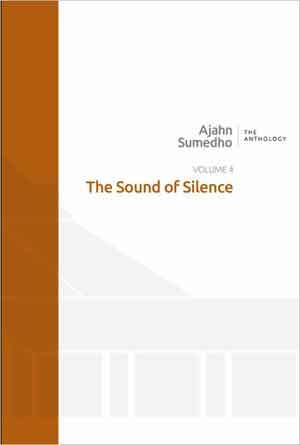 With the sound of silence, you begin to hear it wherever you are—in the middle of London, in a traffic jam in Bangkok, in a heated argument with somebody, when the pneumatic drill, the lawn mower and the chainsaw are all going at the same time, even when there is music. So learning to detect it and tuning into it is like a challenge. Sometimes people say: ‘I can’t hear it; there’s too much noise.’ If you are resisting the noise you can’t hear the sound of silence but if you open to it then you begin to hear the gentle scintillating hum, even with the pneumatic drill blasting away. Listening to the sound of silence allows us to integrate mindfulness meditation into movement, work, business. If you are in the kitchen washing the dishes or walking from here back to your room or driving a car, you are able to listen to the sound of silence at the same time. It does not make you heedless. It allows you to be fully with what you are doing; it increases your mindfulness. It helps you to wash the dishes fully and really be with the washing of the dishes, rather than just washing the dishes and being with all kinds of other things. Walking back to your room, you could be thinking about anything. Using the sound of silence helps you to be with walking, being mindful and with the very action that’s happening in the present. 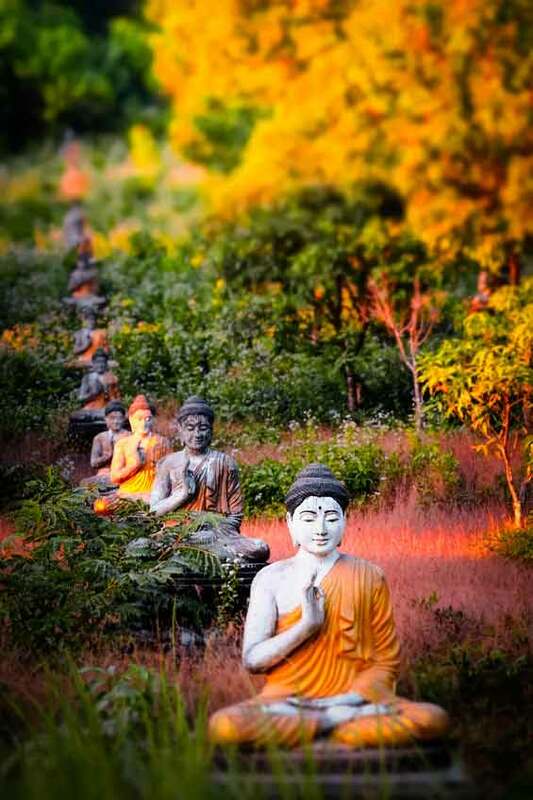 Similar to Amaravati, Cittaviveka is in the tradition of Theravada Buddhism, more specifically in the lineage of the Thai forest masters. It is a residence for both monks and nuns, where their life of training in ethics, renunciation and meditation is supported in a secluded rural environment. Situated in the stunning Sussex countryside, it is almost impossible to describe the idyllic, otherworldly atmosphere, steeped in ethereal peace and tranquillity. It may be possible to gain enlightenment in the bustle of everyday life but strolling along the rustic cloister, I feel it is probably a lot quicker to achieve it within lamasery walls. Then in that emptiness contemplate what ‘self’ is. When you become a personality, what happens? You start thinking, grasping your feelings, then you become a monk or nun, man or woman, a personality, Pisces or an Aries, an Asian or a European or an American, an old man or a young woman or whatever. It’s through thinking, grasping at the khandhas, that we start getting wound up into that and then we become something. But in this emptiness there is no nationality. It’s a pure intelligence; it does not belong to anybody or any group. So then you start recognizing when you’ve become somebody and nobody, when there is attā (self) and anattā (non-self) […] Just by exploring this you really get to understand what attā is, how you become a personality and you also get to see that when there is no person, there is still awareness. It’s an intelligent awareness, not an unconscious dull stupidity. It’s a bright, clear, intelligent emptiness. You become a personality through having thoughts like: feeling sorry for yourself, views and opinions, self-criticism and so forth and then it stops—there is the silence. But the silence is bright and clear, intelligent. I prefer this silence rather than this endless, proliferating nattering that goes on in the mind […] That’s a way of breaking a lot of these emotional habits we have that plague us and obsess our minds. You can actually train your mind, not through rejection or denial but through understanding and cultivating this silence. So don’t use this silence as a way of annihilating or getting rid of what is arising in experience but as a way of resolving and liberating your mind from the obsessive thoughts and negative attitudes that can endlessly plague conscious experience. I often reflect upon my meeting with Ajahn Sumedho and cringe at my egocentric naiveté. 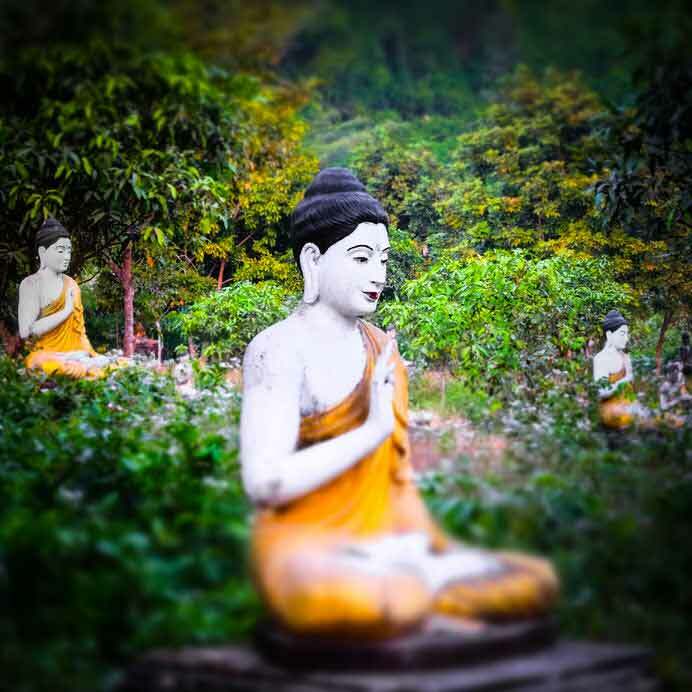 I berate myself for the wasted opportunity, in that I could have asked him something eminently more meaningful about the Buddhist precepts, meditation practice, the cultivation of wisdom, rather than the vicissitudes of my own personal experience. But still, such is life. That’s not to say I have renounced Advaita Vedanta per se in favour of Buddhism; despite resonating with the teachings of the Buddha, the instruction of Bhagavan Sri Ramana Maharshi will always remain closest to my heart. Nonetheless, at the very core of both teachers’ message is the exact same principle—that everything resolves into stillness. Indeed, there are many paths up the proverbial mountain and yet they all end at the same destination, which is the ineffable, noumenal void … the sound of silence. Through intuitive awareness we can see that the body is in the mind. Right now you are in my mind; all of you in this hall, you’re in the mind. On the conventional level, for each one of us, our mind is in our head—you’re sitting over there with a mind in your head—all these different heads with minds in them. But then in terms of mind, I’m sitting here on the high seat, I can see you with my eyes and you’re in the mind, you’re not in my head. I can’t say you’re all in my brain. The mind has no limit to it. So then one can see that the body is more like a radio, more like a conscious entity in the universe that picks up things. Being born as a separate entity in the universe, we are a point of light, a conscious being in a separate form. We tend to assume we are a fixed, solid, physical person but are we something greater than that—not so limited, heavy and fixed as our cultural conditioning makes it sound or as we tend to perceive? The sound of silence isn’t mine, nor is it in my head but this form is able to recognize it and know things as they are. This knowing is not a cultural knowing; it’s not like interpreting everything from my cultural conditioning; it’s seeing things as they are, in a direct way, which is not dependent on cultural attitudes. 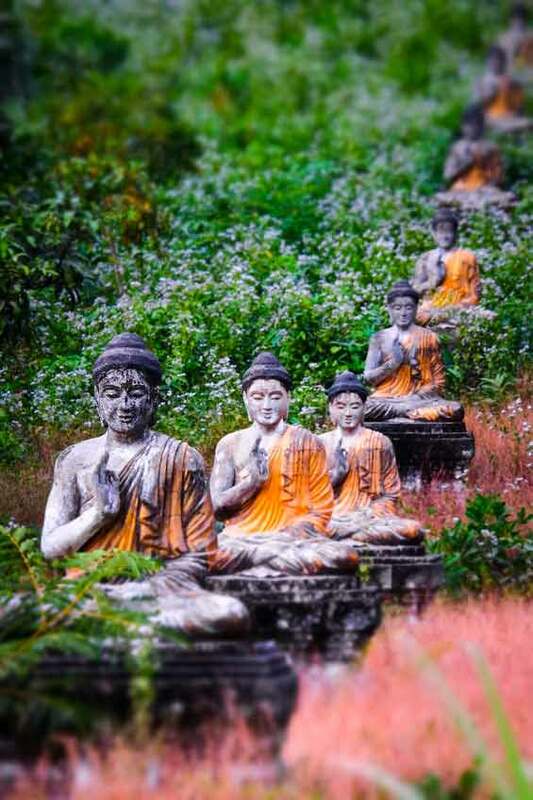 So we really begin to understand anattā, not-self, which enables us to see that we are all connected, all one.